At American Fire & Water Restoration, we know that even the most meticulous homeowners can experience water damage inside their home. Things happen that make preventing water damage nearly impossible, and we’ve seen every type of water damage there is: burst frozen pipes, broken and overflowing appliances, blockages in the sewer line or plumbing system, sump pump failure, ice buildup along roof lines, etc. No matter what type of water damage you may have experienced, your first inclination may be to attempt to clean up the mess yourself. Don’t. Do-it-yourselfers lack the expertise and equipment to properly and thoroughly clean, dry, and sanitize a home that has suffered water damage. If you want to minimize the damage that can occur, including the possibility of structural damage or a mold infestation, call American Fire & Water Restoration, the certified water damage restoration company that will take care of your water problem quickly, efficiently, and professionally. We are fully trained and certified in all types of water removal, and available 24/7, 365 days a year to handle your water emergency. We serve Lake, McHenry, and north Cook Counties in Illinois, and southern Kenosha County in Wisconsin, and possess over 25 years of experience in the cleaning and construction industries. American Fire & Water Restoration Handles All Types of Residential Water Damage! We work hard to minimize the damage that can occur from water inside your home and do what is necessary to restore your home and belongings to their pre-water-damage condition. Beyond just removing the water, we eliminate the potential for mold and handle any reconstruction or renovation work you may need as a result. With our time-tested water cleanup and restoration process, your home will be thoroughly and properly cleaned in a manner that is safe for everyone involved and done as efficiently and thoroughly as possible. Every home and water damage situation is different, but we adhere to set standards to achieve optimum results. When you call American Fire & Water Restoration, we arrive onsite in company trucks in 90 minutes or less and, after conducting an initial assessment, are prepared to get right to work. We locate the reason for the water entry or leak and take interim steps to stop the leak. We initially classify the water damage according to the source: water from an overflowing toilet will be categorized one way, while water from a broken water line in the refrigerator will be categorized another. We assess how much flooding and water damage has occurred by examining the amount of standing water as well as how much has been absorbed and spread into floors, carpeting, walls, and ceilings. We also examine porous surfaces such as brick, concrete, or hardwood for signs of water damage. Based on this assessment, we develop an appropriate plan to clean up and restore your property. Whether the water damage and flooding are in your attic, kitchen, basement, or elsewhere, with professional-grade equipment, we extract all standing water quickly and remove it to our truck for proper disposal. We also check hidden areas where water may have reached, including under subfloors and behind walls. With the standing water extracted, we next remove furnishings and personal items that sustained water damage. We will properly dispose of all items that cannot be salvaged, and those that can be cleaned and restored are inventoried and taken to our secure location where they are cleaned, restored, and stored until they can be returned to your home. The next step is to place specialized drying equipment in the affected area to eliminate all signs of dampness and moisture. This step is critical to ensure the area does not become susceptible to an infestation from mold, which not only destroys property but also poses a health threat to your family and even your pets. We next focus on cleaning and sanitizing the affected area. Our products are approved for all residential use and safe for humans and animals. We clean every surface and specially treat porous materials that cannot be cleaned easily due to their uneven surface. If necessary, we decontaminate to eliminate the threat from biohazards. We will reconstruct or renovate any part of your home that needs restoration or renovation as a result of the water damage. Our goal is to return your home to its pre-water-damage condition – or better! Water damage inside your home is unpleasant and disruptive. We strive always to complete each job quickly and efficiently so that you can get your home and family life back to normal. We treat you and your property with respect and apply our training and expertise to handle any type of residential water problem. 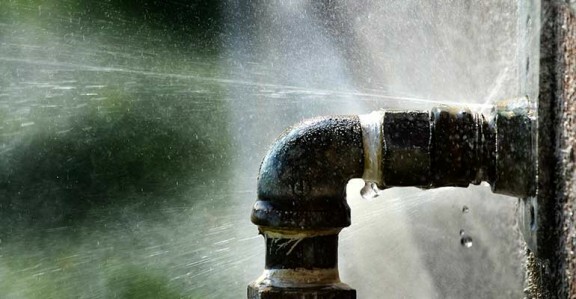 If you’re having a water emergency in your home, call American Fire & Water Restoration now. With our quality work and top-notch customer service, we’ll get the job done right and return your home to pre-water-damage condition – or better! Jerry and his crew arrived shortly after our call and immediately addressed our water damage. I was impressed with their professionalism. Jerry took control of the project and I know we were in good hands. Thanks Jerry!